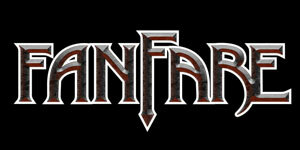 Fanfare is a new band consisting of current members from progressive rock groups Grand Parade, Silver Pipe and Might Could. 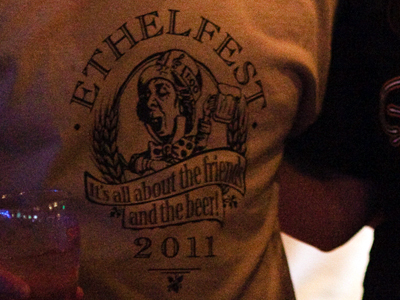 Fanfare came into being at last year’s EthelFest from a chance conversation between Brian and Luis about possibly working together. When Bill and Roey quickly joined in, the band was set. The group's focus is the core ELP albums from 1970 through 1977, presenting the music with the energy, drive and virtuosity for which ELP was so well known. A Fanfare performance gives the full ELP experience – from the furious keyboard pyrotechnics, blazing drumming and thundering bass of Tarkus to the tasty piano trio jam of Take a Pebble and then on to the classic vocal stylings of ballads such as From the Beginning and Lucky Man. 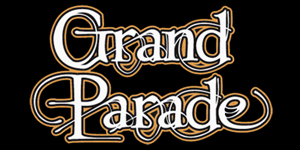 Fanfare presents a unique ELP concert that includes the well-known tunes but also classic deep-cuts that you simply won’t hear live anywhere else. 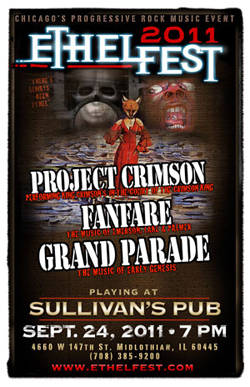 Project Crimson is a consortium of highly trained musicians from the Chicago-land area. At its core is Frank Alongi and his father Joe Alongi. Together they've played for over 10 years and put together several groups for the "Classic Album Series" at Reggies on State. 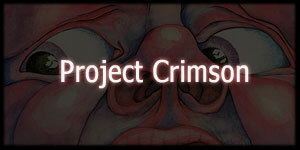 The goal of "Project Crimson" is to perform the album "In The Court of the Crimson King" in its entirety, using as much of the original instrumentation as possible. This group only focuses on one album at a time, usually becoming extremely engrossed with the project and going to extreme lengths to perform the music as close to the album as possible. In the case of King Crimson, we've procured an actual tympani, arranged a four part woodwind section and added other special treatments. For those searching for a complete and authentic recreation of this classic album, Project Crimson is as close as it gets.